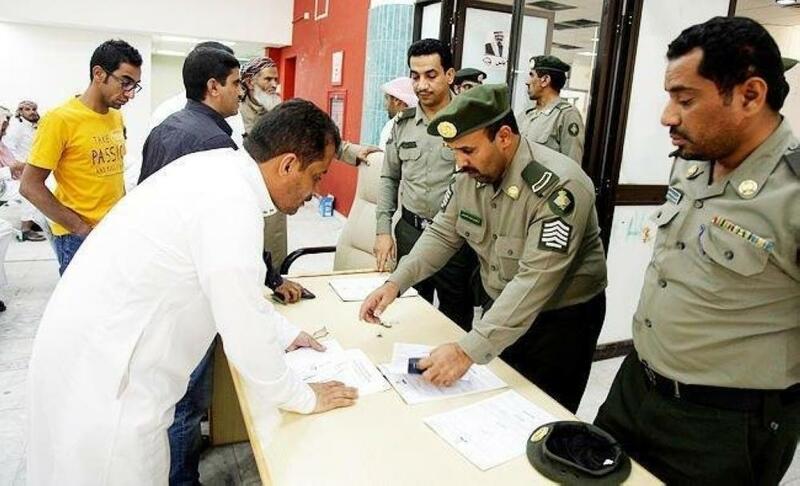 THE nationwide security clampdown to flush out all illegal expatriates from Saudi Arabia seems to have achieved its objectives with the coordinated efforts of more than a dozen government agencies including Public Security and the Ministry of Labor and Social Development. In their latest push to end the Kingdom’s abundant black market in labor, the Saudi security authorities as of Wednesday arrested a total of 288,725 illegal foreigners including visa overstayers and workers who had breached the country’s labor, residency and border security laws from different parts of the country. Of the detainees, 62,787 have already been deported while punitive measures taken against 45,353 others. 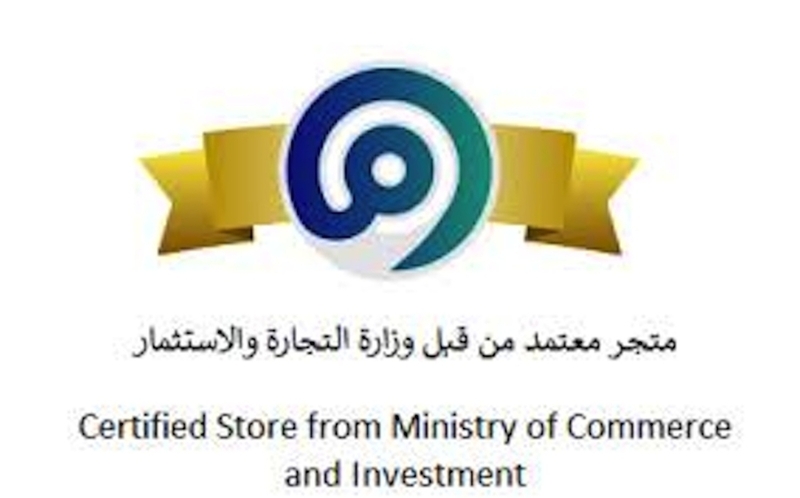 The Ministry of Interior launched the Nation Without Illegal Expats campaign on March 29, 2017, with an initial 90-day grace period for all visa overstayers and violators of residency and labor laws to leave the country without incurring any penalties. Due to the huge rush of undocumented workers wishing to leave the Kingdom taking advantage of the general amnesty, which allowed them to return to the Kingdom later on legal work visas, the grace period was extended a number of times until it finally ended in mid-November. During these nine months, text messages from the Interior Ministry and the Passport Department pinged into every mobile phone in Saudi Arabia asking illegal expatriates to leave the Kingdom taking advantage of the amnesty. The messages warned of heavy fines, jail time and deportation for anyone caught without valid identity documents after the grace period. Saudi authorities estimated that more than 600,000 people benefited from the amnesty in the first four months. But hundreds of thousands of others remained, either determined to stay back unheedful of the consequences or unable to avail themselves of the amnesty offer. The Ministry of Interior extended the amnesty further to give more time for the illegal migrants who still remained in the country to leave scot-free. When the grace period finally ended on Nov. 14, as many as 758,570 visa violators belonging to 140 nationalities had benefited, according to Maj. Gen. Mansour Al-Turki, security spokesman for the Interior Ministry. 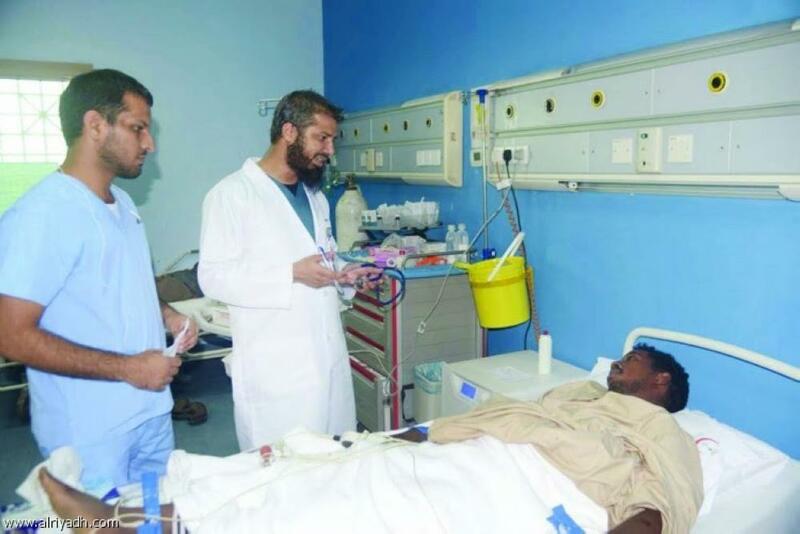 The number included residency and labor law violators, Haj and Umrah visa overstayers and people who crossed into the Kingdom breaching border security, he said. On Nov. 15, the Ministry of Interior finally launched the long promised crackdown on illegal residents who still remained in the country. The coordinated campaign, which included several ministries and service agencies, also targeted anyone, including Saudis and legal expatriates, who offered any kind of aid to undocumented foreigners. The ministry warned citizens and legal residents who failed to abide by the regulations and instructions that prohibit dealing, hiding, sheltering or transporting illegals of the maximum penalty stipulated in the law. It also called for the cooperation of Saudis and legal residents to achieve the objectives of the campaign. 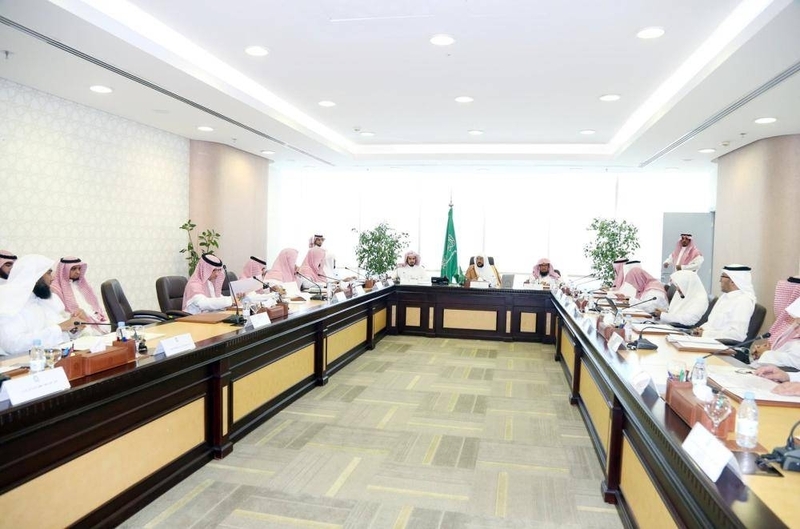 However, the Saudi authorities took into account the humanitarian dimensions of the migrant issue and put in place a balanced set of mechanisms to deal with the detainees. 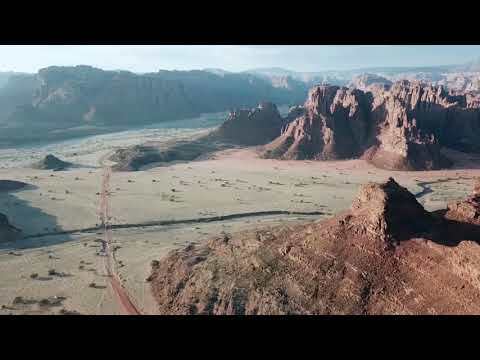 Saudi Arabia, which is known as the Kingdom of Humanity, had become a beacon of generosity by offering all foreigners who have voluntarily surrendered before the competent authorities the benefits of being recruited again but legally. 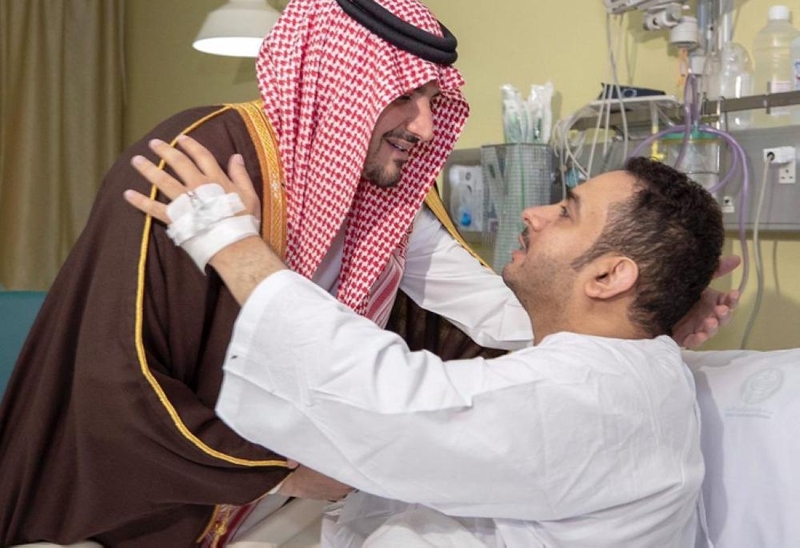 Even those who were arrested received humanitarian treatment by the authorities until the moment they left the deportation centers in preparation to board their flights back home. 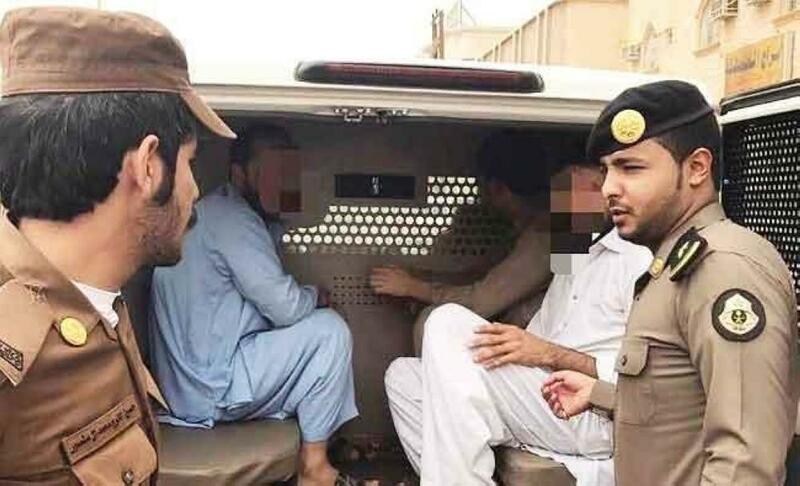 Al-Riyadh newspaper recently visited the Deportation Center in Al-Shumaisi to learn about the mechanisms and procedures followed in the cases of the large number of detainees. 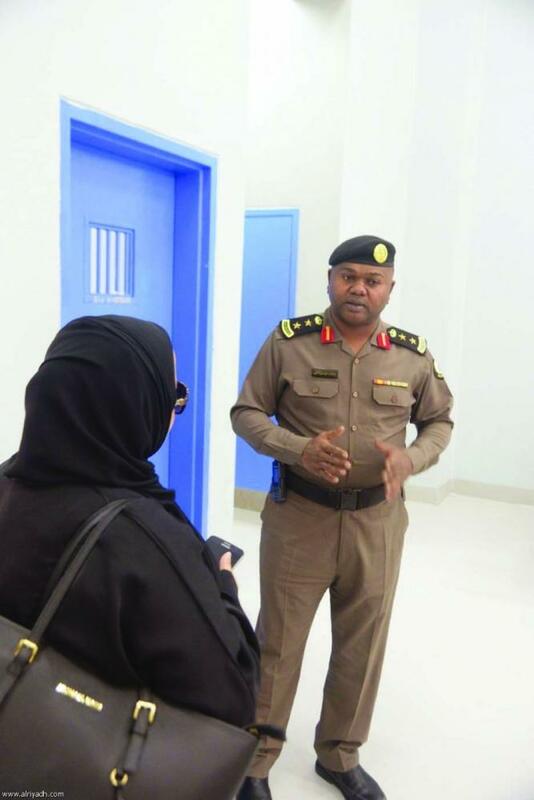 The newspaper’s team toured the services provided to the violators inside the sprawling facility, including the sleeping quarters, food courts, prayer areas and healthcare centers. The detainees receive three meals daily and the facilities are equipped according to global hygiene standards. A high level of attention is given to unaccompanied children who are cared for by the Ministry of Labor and Social Development during the period of their stay until they are united with their parents to travel back to their home country. Brig. Gen. Saad Bin Tarabeeh Bin Ghannam, director of the Department of Illegal Expatriates in Makkah province, explained to Al-Riyadh the procedures being followed in dealing with the detained violators. “After a violator is arrested and transferred to the General Services Center, he or she is presented to the screening committee, which is composed of representatives from the labor office, the prison department, Public Security and the Passport Department. The committee will verify the identity of the detainee, and review their violations and records,” Ghannam said. Some of the expatriates are detained because they are found working for someone other than their legal employers; others work on their own and some others have been reported by their employers as absconding, he said. “Once a violation is confirmed, the individual is handed over to the Passport Department for fingerprinting. Once photographed and the biometrics recorded, he or she will be handed over to the prison administration to be placed under detention until the necessary punitive action in the case is determined,” Ghannam said. “Detainees who have cases pending against them are investigated and referred to the administrative committee for trial. Those who are found guilty are referred to the police while those who are acquitted will be released upon completion of their paper work. People without proper documentation will be transferred to the deportation section to issue the exit papers to leave the country,” said the general. He pointed out that children accompanying their parents are placed in the unit of social affairs until the travel procedures of their parents are completed so they can be deported together. Women detainees are allowed to keep their infants with them. Brig. Gen. Ghannam praised Custodian of the Two Holy Mosques King Salman and Crown Prince Muhammad Bin Salman for carrying out the campaign for the sake of national security. “Strictly implementing the law will change the situation where the crime rate was high and law violators roamed the streets and worked in restaurants and other places without any control over them,” he said, while stressing the role of citizens in protecting their country by reporting any violations. Muhammad Al-Zahrani, director of reception at the Department of Alien Control in Al-Shumaisi deportation center, explained his administration’s work. He says all detainees are received with full respect at the center after being arrested and transferred there, whether women or men. Children normally are held at a protection center until their parents’ exit papers are processed but are deported in cases their parents’ cases are complicated, he said. In the Department of Arrests of Expatriates, Al-Riyadh met with Col. Muhammad Mansour Al-Buqami, commander of the Detention Unit. He explained that there are five units in the department, each one handling different categories of violators, such as violators of residency and labor regulations, violators awaiting deportation, violators who have issued exit visas and awaiting passage, and the women’s section. The period of detention does not last more than two weeks till deportation, provided there are no pending cases or complaints against the individual in any of the labor offices, police stations, general courts or family status courts in any part of the Kingdom. About 12 million of a total of over 32 million people living in Saudi Arabia are foreigners, most of them unskilled workers from Asia and Africa working in the construction and service sectors, according to official figures. Several million others continued to live in the Kingdom outside the law, running unregistered businesses or accepting informal work with companies skirting the requirement to employ Saudi nationals.